“We celebrate 50 years of our brand, 50 years of redefining mobility through customer-driven innovation, 50 years of caring for Man and Planet. Cheers to 50 years more of our brilliant journey together!” declared Hyundai Asia Resources, Inc. (HARI) President and CEO Ma. 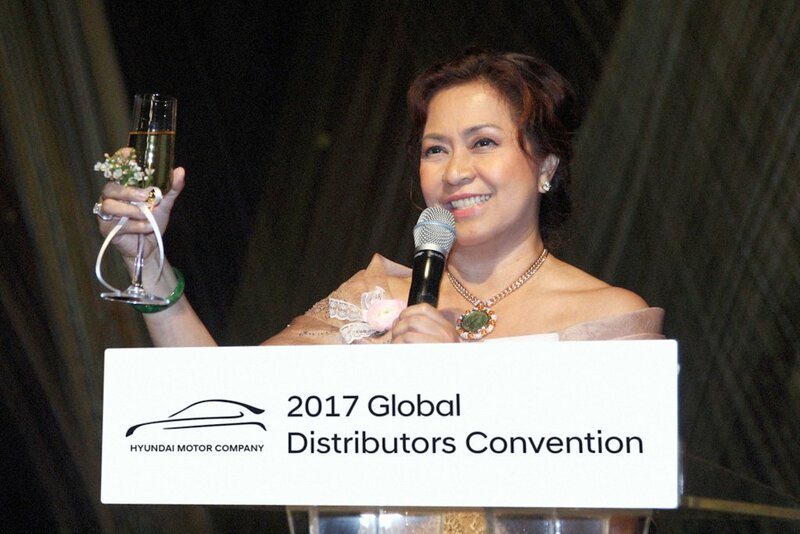 Fe Perez-Agudo when she accepted the Hyundai Motor Company (HMC) Global Distributor of the Year 2016 award during the Global Distributors Convention held at the Grand Intercontinental Hotel in Seoul. HARI first bagged the prestigious award in 2010. Now on its second win, the official Philippine distributor of Hyundai vehicles once again proves its mettle as a world-class automotive firm. This honor comes at the heels of a fierce first quarter sales performance, sealing HARI’s Industry position as the third top-ranking automotive firm in the country. HARI closed March 2017 with record sales of 3,371 units—the highest monthly output in the company’s 15-year history, pushing first quarter sales to 8,841, up by 18 percent as compared to the 7,469 units sold in the same period of 2016. The Global Distributor of the Year award is likewise a nod to Filipino entrepreneurial genius and management capability. HARI continues to win the unwavering confidence of HMC with its shining reputation for introducing to the local automotive industry pioneering customer-driven innovations in Sales, After-Sales, and Customer Relations, as well as for its noteworthy efforts in corporate social responsibility (CSR) through HARI Foundation, Inc. (HFI). Also present at the awards ceremony were HARI Chairman Emeritus Richard L. Lee and Chairman Edward S. Go.